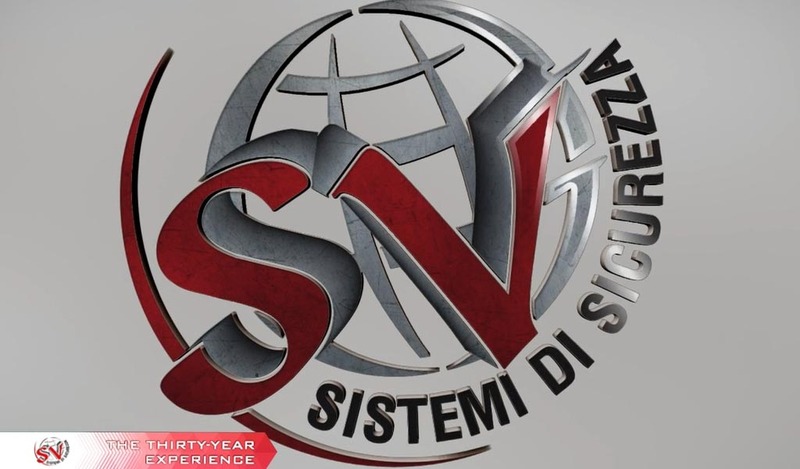 SV Sistemi di Sicurezza?has undertaken collaborative relationships with leading manufacturers of fire fighting systems. Today with the group Eusebi, the world?s leader and partnership of SV security systems, we offer to all customers the production and supply and testing of fire fighting systems and supply of EXFIRE360 control panels,?designed and?made in Italy, to give our customer warranty and functionality of the?smart and certified?integrated systems . WATER MIST: is a system with high pressure water (between 100 and 120 bar) through special nozzles that delivers water in a spray form, almost gaseous. The drops have dimensions less than 100 um, and are particularly effective in fighting the fires through an effective cooling, inerting. NOVEC 1230: its molecule consists?in carbon, fluorine and oxygen, eliminates the flames since interrupts the combustion reaction. NovecTM 1230 is widely used around the world and thanks to its environmental properties it has become in many countries the extinguishing agent for excellence in risk management for IT and electrical applications. CO2: Carbon dioxide, unlike air, does not contain a quantity of oxygen sufficient for the supply of combustion; it quickly vaporizes without residues of any kind, causing a sharp drop in temperature, a factor that significantly increases the extinguishing effect of the CO2. The CO2 systems are both the type total saturation and the type to ?local application? dedicated to the protection of particular risks. 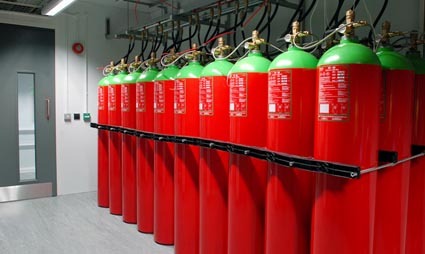 ARGOSYSTEM: using argon gas as the extinguishing agent, which acts on the fire by decreasing the percentage of oxygen from 20.9% to below 15% which is the threshold below which the fire goes theoretically out . The principle of saturation is calculated on a total flooding system and is 100% ecological. It has a zero environmental impact; argon required for?extinguishment is contained in special approved tanks? type T-PED the 80/140 liters, in which the gas is pressurized at 200/300 bar. AEROSOL:?The purpose of the test is to verify the methods and the effective functioning of the concerned products ,?and the magnitude of the effects on people and things. To run the test of the aerosol test area,?UL-FM SV is prepared, depending on the case, to a fire extinguishment of a real fire and to a reproduction of a real scenario (eg. A typical location of an office). Some sequences of?discharge made with three different aerosol generators are used as fire extinguishing system. 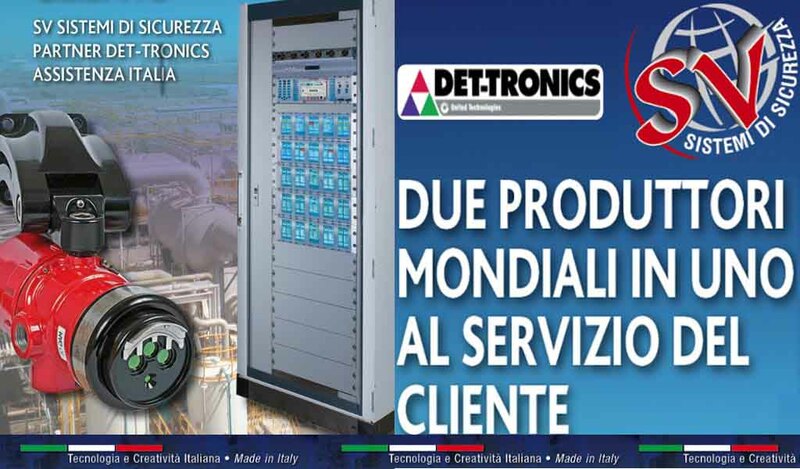 Det-Tronics sigla un accordo con SV sistemi di sicurezza?per la distribuzione in Italia dei prodotti Det Tronics per dare un servizio completo al cliente finale in ?merito?alla rilevazione Fiamma e Gas. We provide technologically advanced solutions for the control of fire & gas detection and extinguishing systems. 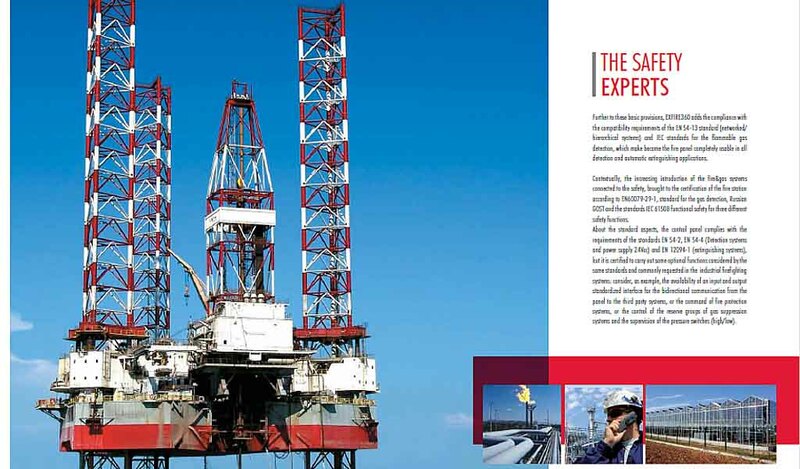 ?With a?thirty-year experience in the protection of oil & gas systems, we are one of the?main competitor?in the national and international markets. In 2010 the innovative EXFIRE360 panel was developed. The original specifications of the panel for its construction were revised and written after a long experience in national and international projects, based also on the competence gained on several panels. This has allowed to develop a control panel dedicated to both fire & gas alarm and fire fighting. 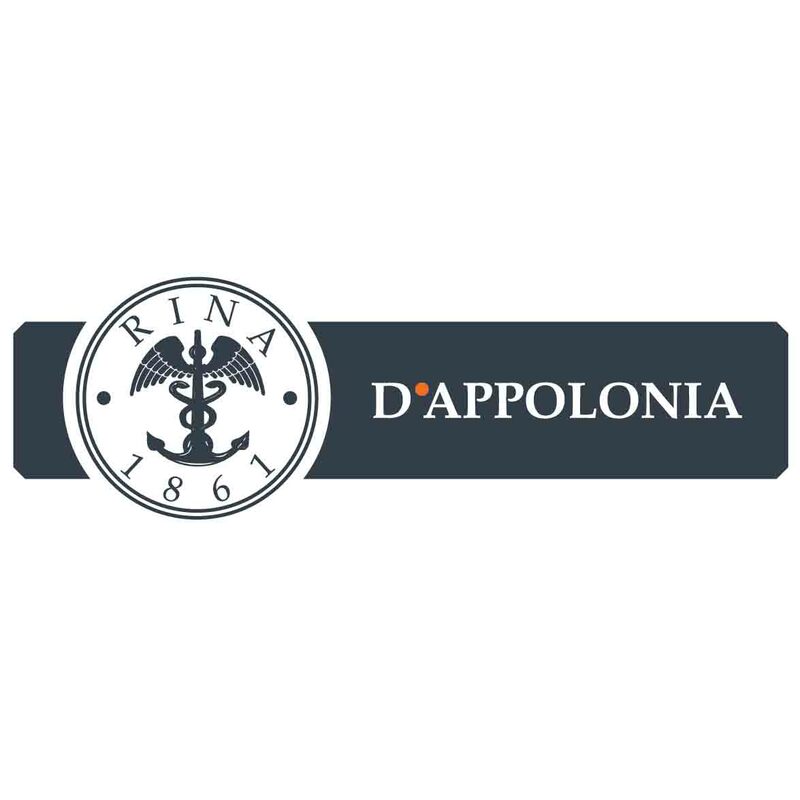 D’Appolonia, originally established in 1956, joined RINA in 2011. Recently our capabilities, staff and experience have been increased by merging C.Engineering, Projenia and part of RINA SERVICES, making the company a market leader. 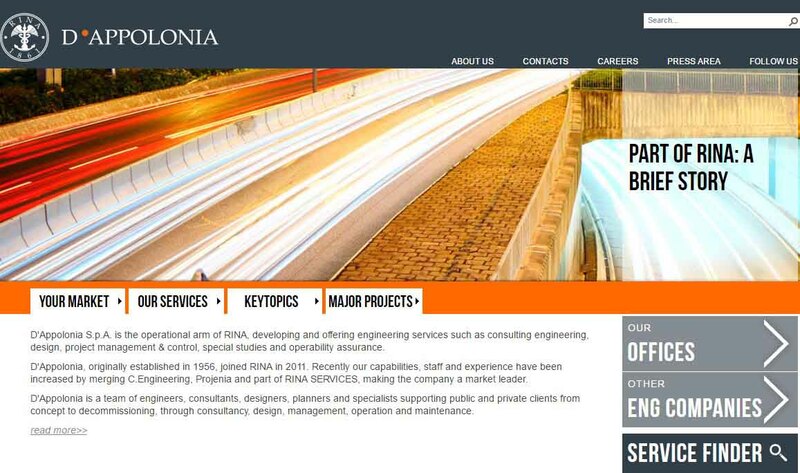 D’Appolonia is a team of engineers, consultants, designers, planners and specialists supporting public and private clients from concept to decommissioning, through consultancy, design, management, operation and maintenance. Our company operates in the markets of Energy, Transport and Infrastructures, Industry and Investor Support. We provide a wide range of services such as feasibility and specialized studies, design, project management, site engineering and operability assurance management. Det-Tronics ? il leader globale nei sistemi del fuoco e del gas per la sicurezza, fornisce?rilevamento per sistemi ?fiamma e gas di rilevamento ?per processi ad alto rischio industriali. L’azienda progetta, costruisce, prodotti fiamma e gas di sicurezza che vanno dai pannelli tradizionali a sistemi indirizzabili fault-tolerant che sono certificati a livello globale. Det-Tronics ? una parte di UTC Climate, Controls & Security, una unit? di United Technologies Corp., leader nella fornitura alle industrie sistemi aerospaziali e di costruzione in tutto il mondo.